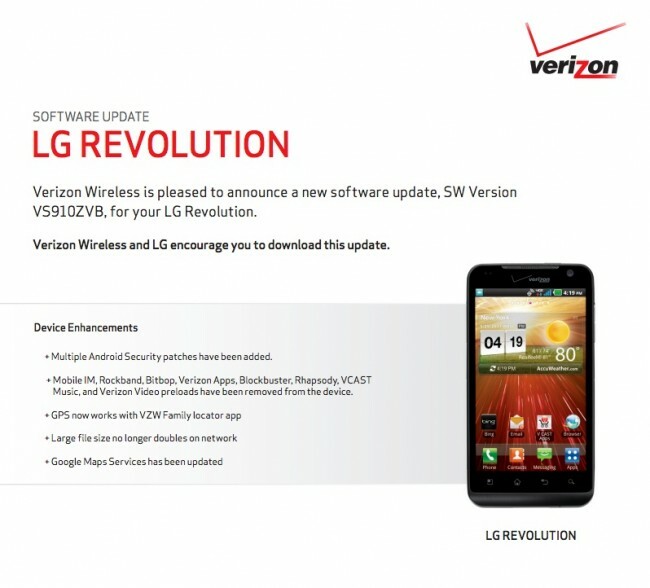 The LG Revolution, one of the first 4G LTE on the planet, is set to receive a new update as build number VS910ZVB. The update itself is nothing to write home about, as it only contains security patches plus the removal of a handful of bloatware apps like Rockband, Bitbop, Verizon Apps, Blockbuster, etc. The list is actually longer than that if you can believe it, so if anything, your device will have freed up space on its internal storage. The update is 46.8MB in size.